THERE’S nothing more relaxing after a long day than opening a bottle of wine and drinking it with friends. We sip, we eat great food, and laugh over the most nonsensical things. Then we all go home with a really good buzz and a smile on our faces. 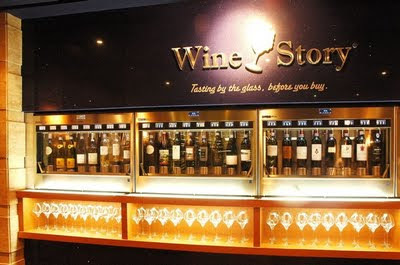 Romy Sia, co-owner of this splendid wine store with childhood friend and business partner Christian Tan, is unapologetic about the expensive prices of their wine bottles. “They say, ‘Romy, it’s cheaper on the Internet.’ Then go ahead and buy there. But when is it going to arrive? You want a good bottle of wine, give me your credit card, you’ll have it tonight.” Romy and Christian are also partners at Healthy Options, the country’s first store chain for healthy-food alternatives and food supplements. It was a venture they started as an offshoot of Romy’s son’s food allergies. Another company is Bow & Wow, which caters to the needs of pet owners. Romy’s parents are textile retailers who still live in Quiapo to this day. “We were not really well-off. I used to take the jeep going to school. But my parents were able to send all of us—I’m the eldest of five siblings—to college. We had a textile store on the ground floor, and we lived upstairs. So when I was young, I saw how hard my parents worked, wala silang vacation. Walang holidays. So I promised myself never to be in retail.” The irony cracked me up. 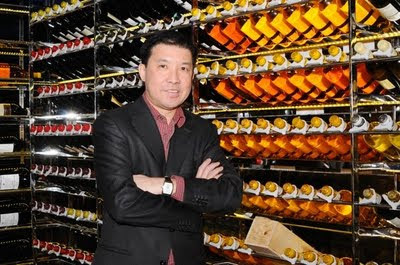 Of course, the difference is, he has a more privileged clientele, and all his store brands serve the upscale market. After graduating with a commerce degree from the University of Santo Tomas in 1981, Romy worked in Divisoria selling Lyna, the skin-whitening product. Then he worked for HSBC, but moved to the UK after the assassination of Ninoy Aquino. “I thought I’d get a job at HSBC there. But when I got there, it was recession, so I applied to other companies. I was in the finance department of all the companies I worked for.” After eight years, he got homesick and came home in 1992, with his gorgeous British wife Janet, and their two young children. He put up Healthy Options as a “sideline” while working in finance with the Lopez Group of Companies. But when the brand had become a major retailer and was already expanding, he resigned from his job in 1997. It is now in its 16th year. Interestingly enough, Romy didn’t become enamored with wines until he read the book The Billionaire’s Vinegar: The Mystery of the World’s Most Expensive Bottle of Wine by Benjamin Wallace about three years ago. The mystery novel takes the reader into the twist and turns of the modern wine counterfeiting world, and pits scam artists with scientists who have their own tools to be able to detect a bottle of wine’s real age. And to think, Romy grew up drinking the German wine brand Blue Nun, like many of us in the late ’70s and ’80s. We had a good laugh about it, because I, too, remember downing the white wine from that dark brown bottle with the graphic of a smiling nun in her blue-and-white habit carrying her basket of grapes. “But if you mention that [Blue Nun] to wine connoisseurs, they will laugh at you,” he says, chuckling. I don’t doubt it. Now that we’ve been exposed to the more sophisticated whites and reds, I can’t even bring myself to drink a Blue Nun again. It remains just a sweet memory, a quaint accompaniment to my old gang’s hours of waxing poetic over many a great lover. Or were they idiot boyfriends? He then tells me his own experiments with wine and Filipino food. Dishes that go well with white wine, for example, are Lapid’s freshly popped chicharon (hold the vinegar, though), itlog na maalat with chopped tomatoes, leche flan and ginataang saging. Kare-kare, he says, will go well with Pinot Noir. “[My friends and I] play. There are things that work, there are things that don’t—like boiled eggs are difficult to pair with wine. But red wine is perfect with dark chocolates!” he enthuses. And what goes with Blue Nun? “Leche flan!” Romy says. Hysterical. He extols the medicinal virtues of wine, stressing that drinking it regularly has eased his migraines. “My family, we’re all prone to migraines. ’Di ako umaalis ng bahay dati na walang banig ng Biogesic. But I don’t get as many headaches na since I started drinking wine.” Of course, red wine has also been said to be helpful in holding heart diseases at bay. 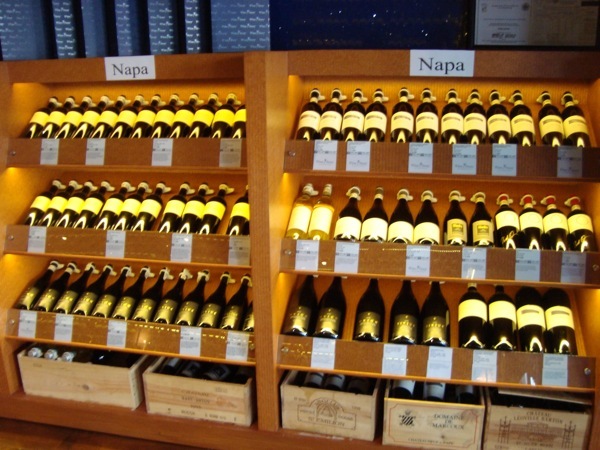 He notes that wine lovers are usually very generous. “It’s hard to drink a bottle of wine by yourself, so wine lovers usually encourage their spouses to drink wine, or encourage their friends.” And while doing this interview, Romy did just that—he opened a bottle of Chilean red, shared it with me and his energetic publicist Macy Pineda, while we snacked on dark chocolates. Mmmm. 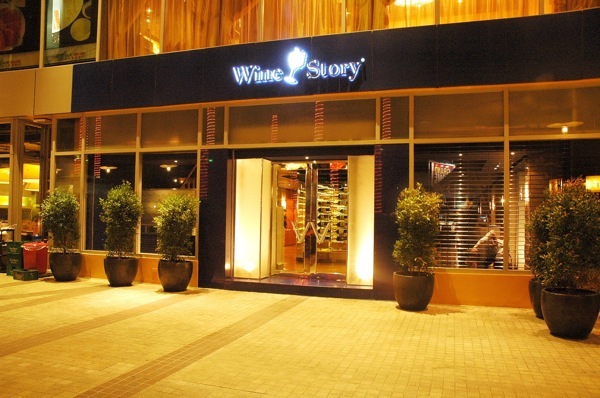 Romy has just opened a second Wine Story at the Serendra at the Bonifacio Global City. Aside from a walk-in cellar, there are more chairs, with tables for those who just want to chill and sip their wines. It also has a kitchen where chefs could be invited to cook for private dinners and parties to be held there. And while I may not have enough disposable income like most of Romy’s customers to afford his wines all the time, the hedonist in me can’t help but wholeheartedly agree with his statement that “life is too short to drink cheap wine.” So, cheers! And now i have an excuse to buy more wine! !